Instant Pot detox infused water ideas! 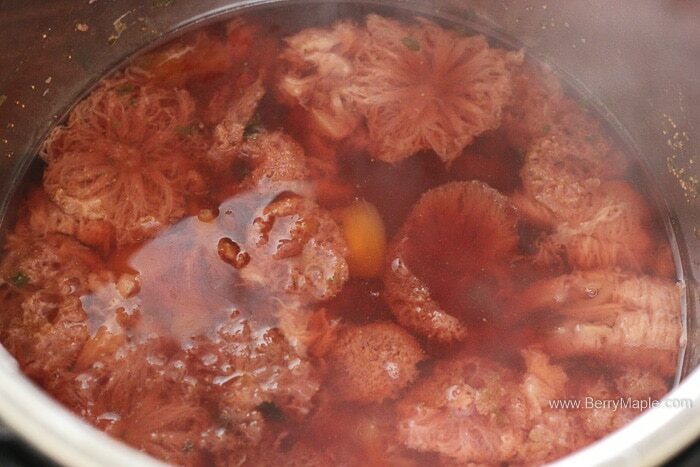 Naturally sweet and healthy ideas for your magic pressure cooker. Who doesn’t like some ice cold fruity drink on a hot day? How about it is naturally sweetened and healthy? If you have a pressure cooker (Instant pot or any other brand )- you are a proud owner of the most useful kitchen device. 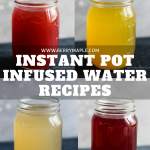 Beside the fact that you can make amazing stews, soups, yogurts, fantastic rice dishes, pastas, ribs ( endless list honestly), Instant Pot is also perfect for infused water! Any flavor , any combination are just minutes away. 5 minutes high pressure, quick release. Thats it. See how rich in color are those beverages? All naturally infused, flavored and colored. No added preservatives, artificial colorings, All Natural! My kids loved their new drinks. Especially the strawberry banana mango. Its getting very hot outside, and summer is coming soon- let your kids drink healthy water instead of store bought boxed juice or soda (omg). 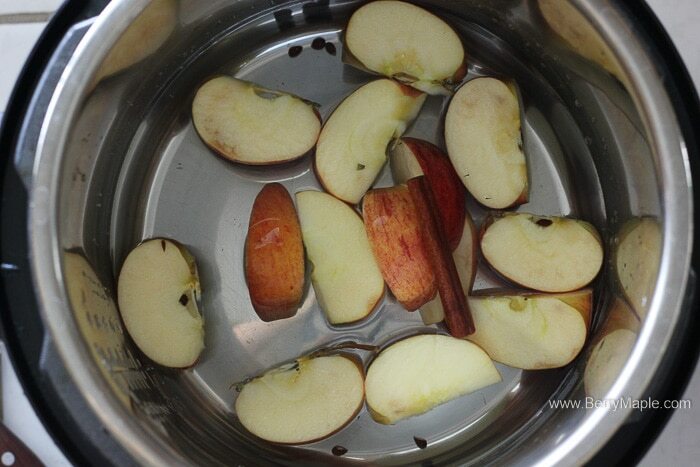 Apple cinnamon Instant Pot infused water. First infused water i tried was with apples and cinnamon. I used Fuji apples but any other sweet ones will work just as well. 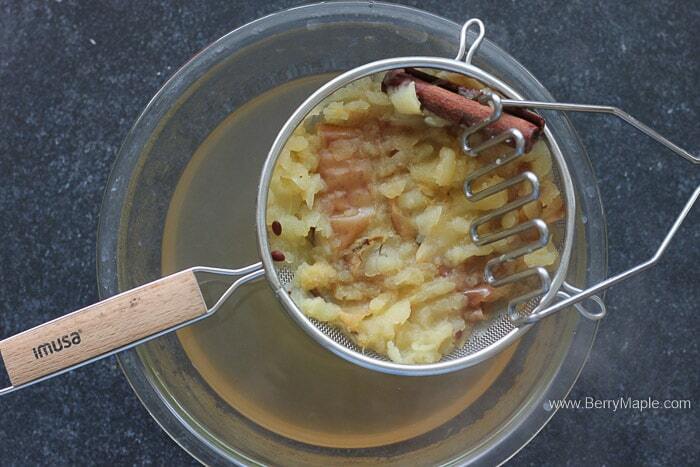 Cut in chunks and add 5 cups of water along with 1 cinnamon stick. Cook under high pressure for 5 minutes and then use Quick release. 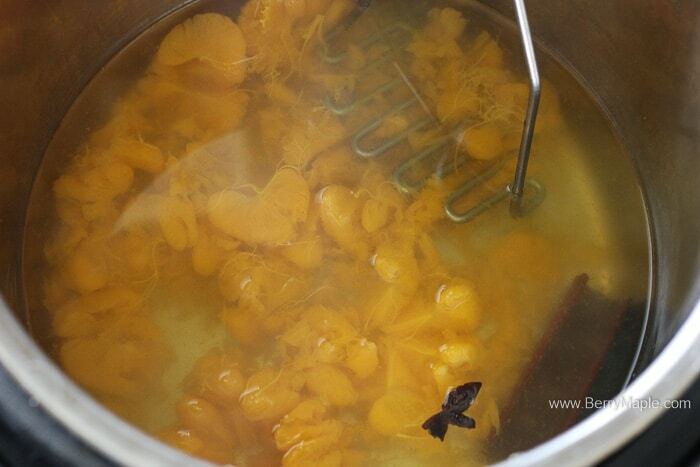 I had to strain it and used a mashing tool to get the most flavor out of it! After cooling the water was sweet and delicious. My kids enjoyed it with ice! 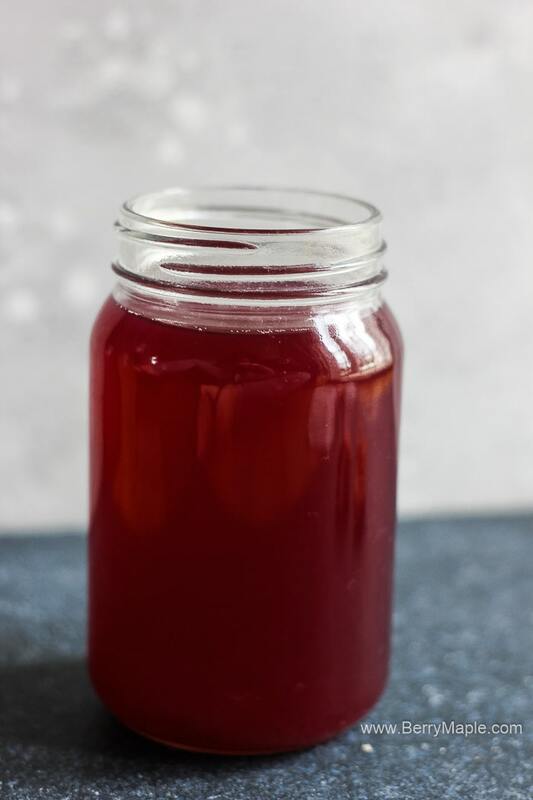 Blueberry Lemon Instant Pot infused water. I know, the name says lemon, but you see limes in the picture. I used limes first, and then tried with lemons and liked the second water much better. I didn’t make process photos with the blueberry lemon water, but still wanted to show you how the water looks like before and right after cooking. You will need 1 cup if frozen blueberries(or fresh) and 2 slices of lemon. Add 5 cups of water and cook under high pressure for 5 minutes and then use Quick release. This water may need some sweetener. Depend on a personal preference. 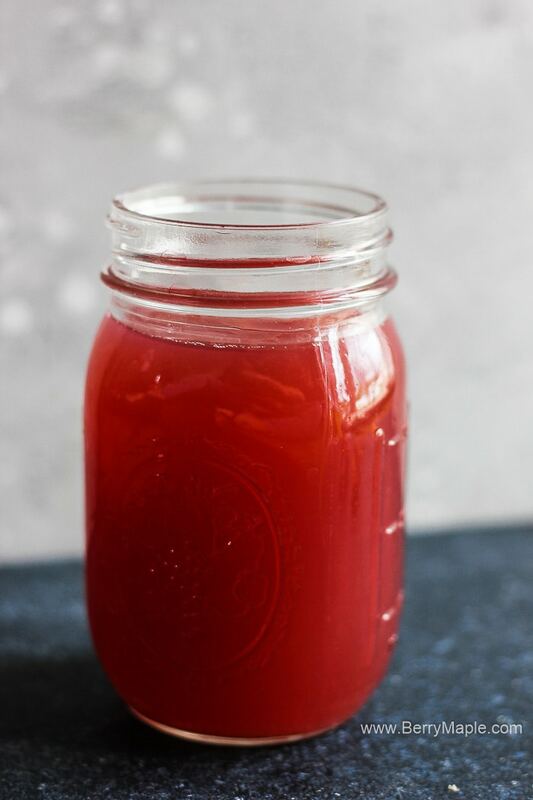 Strawberry Banana Mango Instant Pot Infused water. This was the most delicious one. First i tried to make just banana and mango, but the flavor was not there, so i added a lot of strawberries and oh my! It was so delicious! 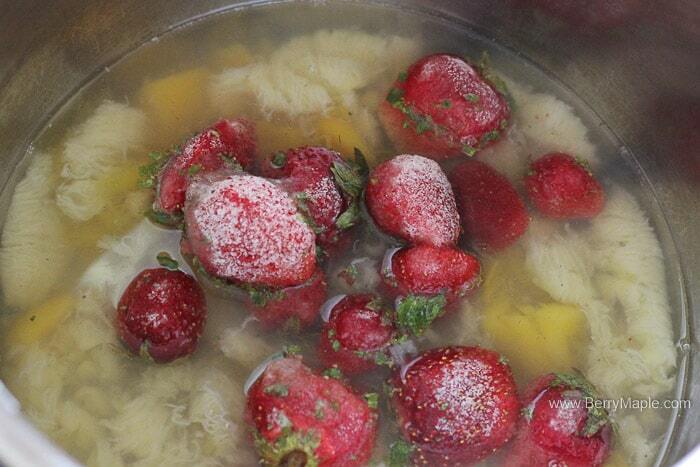 You will need 1 banana, 1/2 cup of mango( i used frozen) and 2 cups strawberries (again, i used frozen). Add 5 cups of water and cook under high pressure for 5 minutes and then use Quick release. 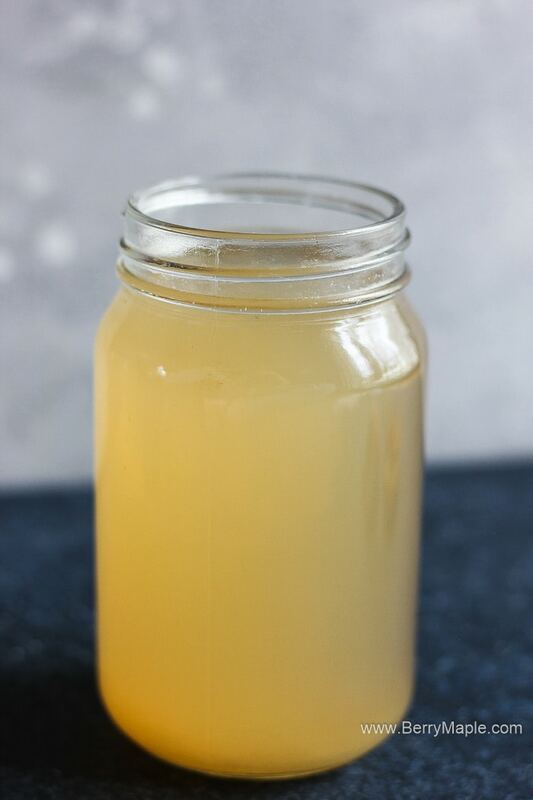 Tangerine Anise Instant Pot Infused Water. 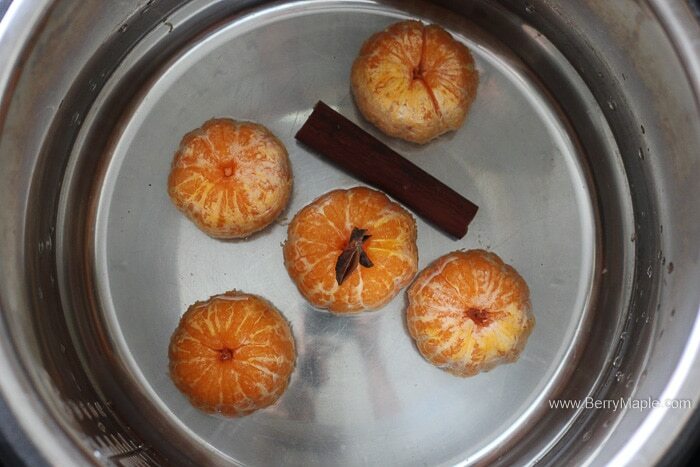 I used 5 tangerines, one anise star and one cinnamon stick. Add 5 cups of water and cook under high pressure for 5 minutes and then use Quick release. Used masher to get the most flavor. Also i used sweetener (honey) when water cooled. 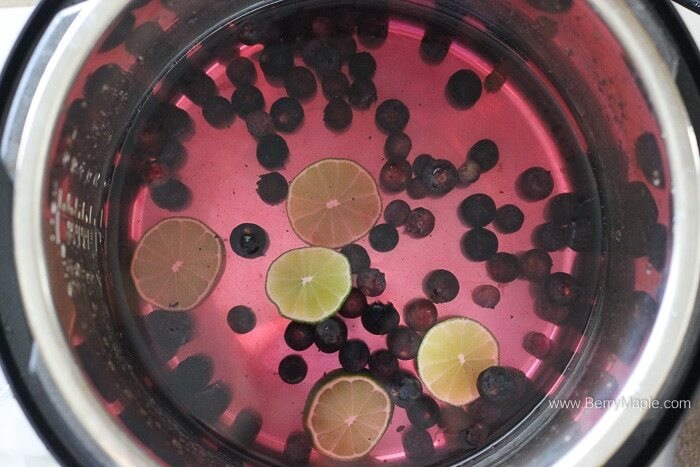 Serve your favorite flavored water with lots of ice. Add a straw and sprinkle with some ground cinnamon. 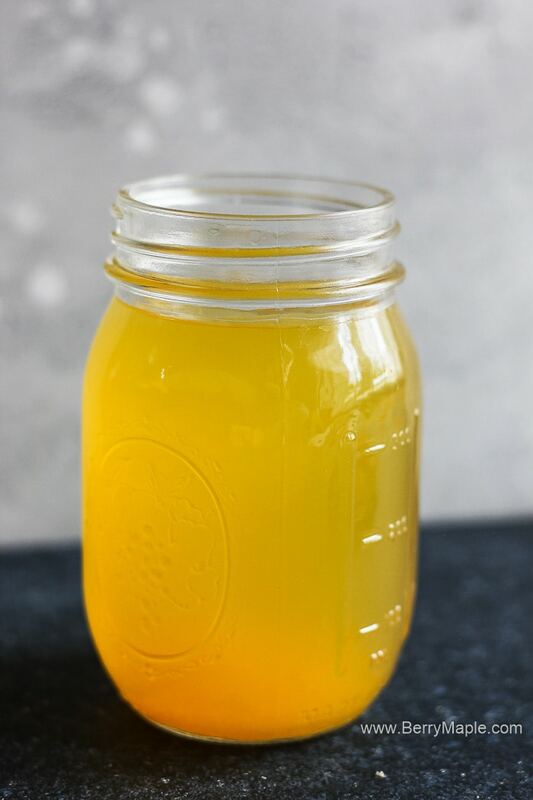 If the water is not sweet enough, please add some honey (will be great will apple infused water), maple syrup , coconut sugar, agave syrup…whatever you want! Check this Best Instant Pot Accessories list! 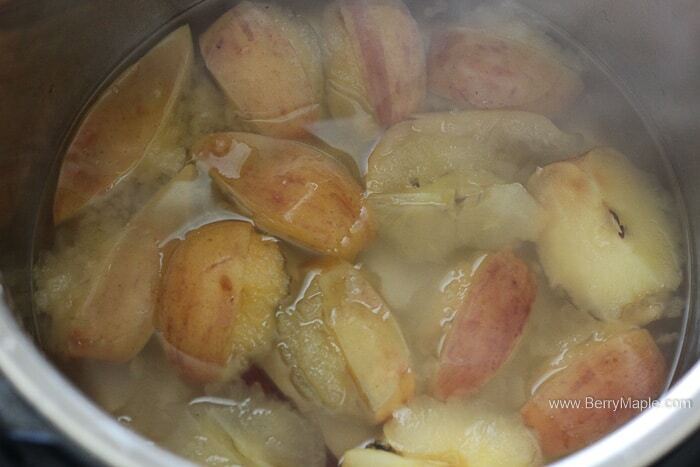 For any flavor you choose- add 5 cups of water and cook under high pressure for 5 minutes. Quick release. Serve with ice and sweetener if desired. Nutrition information is provided just for Apple cinnamon infused water. Hope you enjoyed this recipes! Let me know what flavors you would like me to try and i will include it in my “Fantastic Instant Pot Infused water recipes PART 2” ! We spend a stupid amount of money on flavored water, so I NEED to try this! Guessing because it’s cooked that it lasts longer in the fridge than types that use fresh fruit? I had no idea you could make infused water in the instant pot! Kind of genius! And that pink one is gorgeous! This is so crazy brilliant! 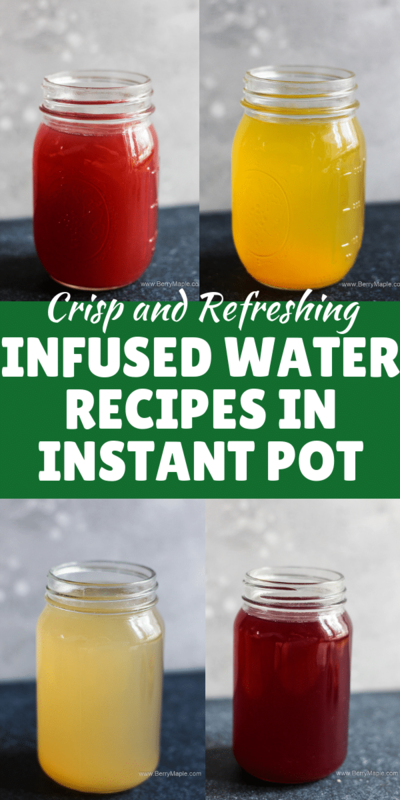 Thanks for the delish instant pot infused water recipes — I cannot wait to try each and every one of them! SUCH a great idea! This would have helped me a lot during the first trimester of pregnancy when water didn’t taste good to me. Love it, they all look so refreshing and delicious! Oh my goodness, I need to go buy an instapot just to make these. What an awesome idea. They look delicious, each and every one. Tatiana, this is a genius idea to infuse water in instant pot! I have IP but never even thought that you can do that! I think it will be very popular during the summer time! I have to tell you, I go my Instant Pot about 2 months ago and I make my own water all the time. I love your combinations and I cannot wait to make them. I am going with your original apple cinnamon in the morning. My kids are going to be enjoying your flavors now too! I had no idea you could do this with an instant pot. These flavor combinations and colors all look divine!! I don’t know which one I love best! What a great idea. 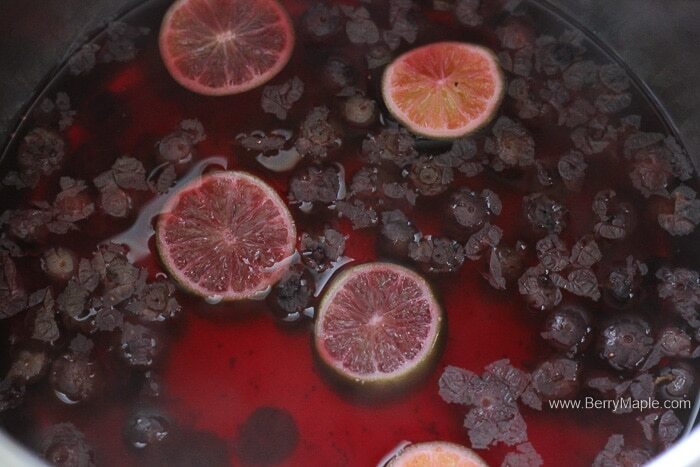 I’ve done the more typical infusions, which are good, but this looks like it gets more flavor from the fruit. I’ll have to try it! Wow, I’m imagining all of the infused water flavors I could create with this recipe! I had no idea you could do this with an instant pot, even more reason to love it. We’re still among the -few- ones who don’t own an instant pot 🙂 . These waters have beautiful colors, and it is all natural! Love that! Great for the warmer months ahead. 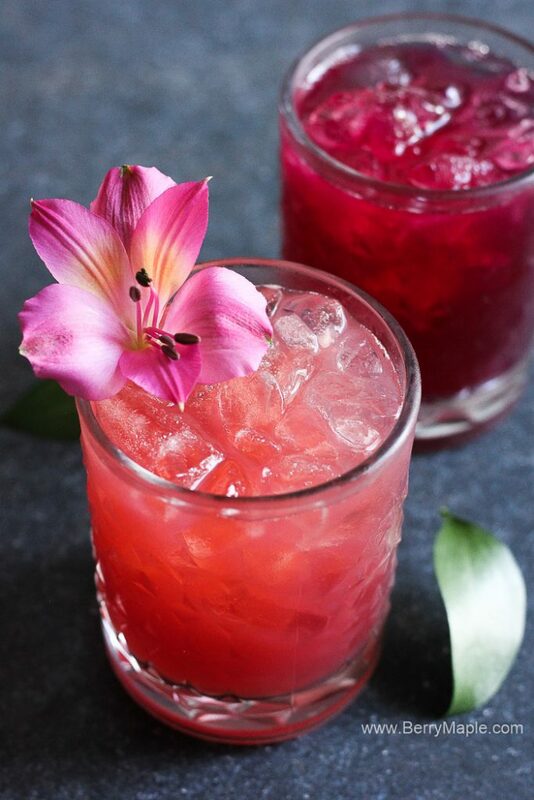 These sound so refreshing and flavorful. Perfect for this spring or even summer weather. Can’t wait to try this soon. LOVE the combinations you have used. Instant Pots can seriously do everything, can’t they?! I’m definitely going to need to pick one up so I can make these! I shared this post on my facebook page because there are so many great ideas here! I basically want to try ALL of these infused waters. Infused water makes it easier for me to drink more, so these ideas are great. These look so great for Spring/Summer and I had no idea you could do things like this with an Instant pot, I need to get one! Such an awesome idea! I think I’ll have to try the strawberry banana mango combo. These all look so refreshing and delicious. Another reason to get my hands on an Instant pot! This is so interesting! I seriously need to get me an instant pot. Pinned! Never thought of doing infused water in the Instant Pot. What a great idea! The color of the blueberry lemon one is GORGEOUS! What a great tutorial! What a great idea and beautiful photos! Pinned! Some great ideas to play around with what we drink loads of everyday!! I am thinking hibiscus, lime, and strawberry!! 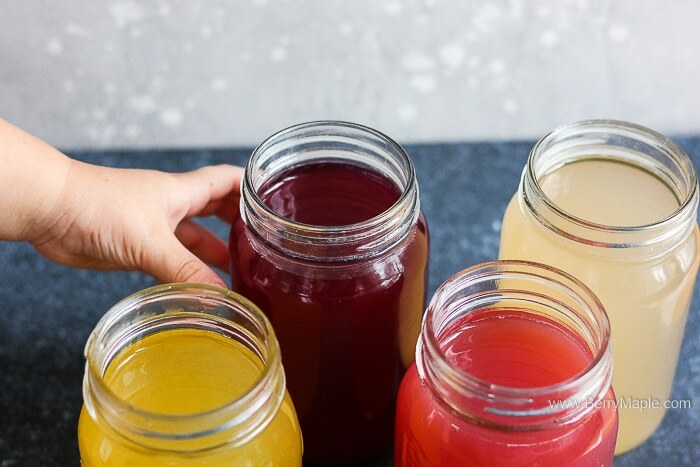 Ooh these infused waters look super flavorful and refreshing… pinning to try soon! Wow great idea! I love this!